Well folks he’s gone and done it again…Barack HUSSEIN Obama…the man who does NOT stand by our troops or their mission…the man who swept Fast & Furious and Benghazi under the rug…the man who shoved ObamaCare down our throats…the man who thinks spying on Americans is the new norm…the man who bows down to those out to kill us as he lets the enemy (in the guise of the Muslim Brotherhood) into our halls of government…that very man who is well-known for appointing the absolute worst people possible to fill government positions, has now nominated Debo Adegbile…a man with a radical record on racial issues and who defended convicted muslim cop-killer Mumia Abu-Jamal…to head the Department of Justice’s (DOJ) Civil Rights Division and he sees NOTHING wrong with this. In fact, Obama hopes this nomination will help take the focus off both his ObamaCare fiasco and Robert Gates’ very damaging tell-all book. We all know Barack HUSSEIN Obama places NO value on white American lives, and especially NO value on those who serve the public whether through military service or as public servants like the police. 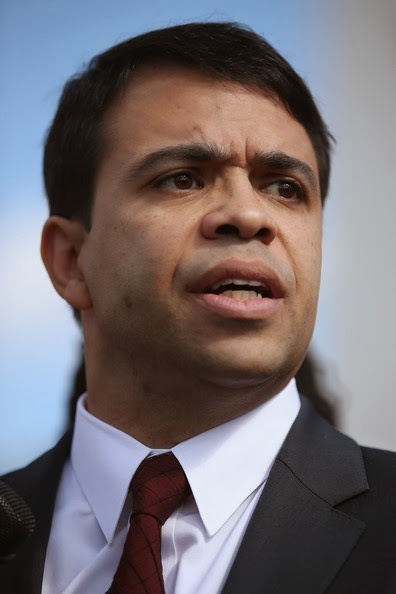 And to nominate Debo Adegbile…who’s mixed-race background is similar to his in that he was raised by a single mother in the absence of his Nigerian father (a fellow muslim perhaps)…when there are so many others more qualified to choose from, it becomes in-your-face obvious that this president is just nominating Adegbile because he is black…as with Obama everything is about race…NOT because Adegbile is the best person for the job. And what a liberal agenda this man brings to the table…something we do NOT need any more of. Currently Adegible, a regular guest on MSNBC (says a lot huh), a staunch affirmative action supporter who is opposed to criminal-background checks by employers, and is a supporter of extreme racial-hiring quotas, is currently senior counsel to the Senate Judiciary Committee (how he got that position is something that should NEVER have happened either), who for the last decade worked for the NAACP Legal Defense and Educational Fund (LDF), a civil rights law firm independent of the NAACP. But most disturbing is that when this man served as Director of Litigation under LDF President John Payton (and who took over the presidency when Payton died in March 2012), he voluntarily took on the case of thug Mumia Abu-Jamal knowing damn well that this man was guilty of killing police officer Daniel Faulkner in an act of pre-meditated, cold blooded murder. 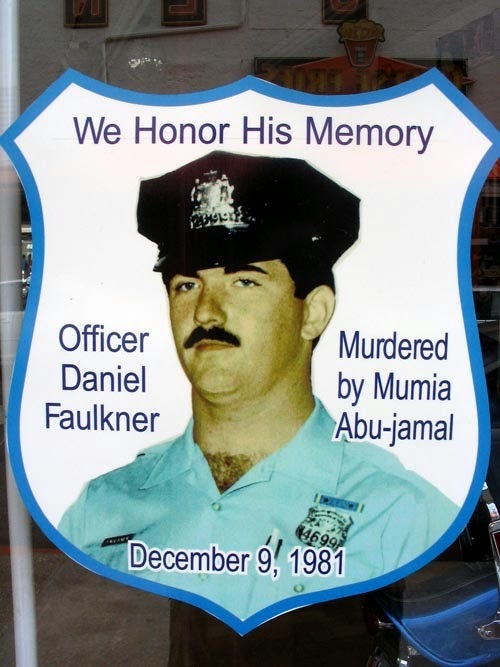 Remember, there were multiple eye witnesses who saw that when Faulkner tried to arrest Abu-Jamal’s brother, Abu-Jamal shot the officer once in the back and then stood over him and shot him four more times at close range, including once directly in the face…overkill to say the least good unrepentant muslim that he was and still is. Briefly, Abu-Jamal was a former member (due to his incarceration) of the Black Panther Party and had connections to the Philadelphia based separatist organization MOVE when Adegible represented him. And while Abu-Jamal was found guilty and sentenced to death for the December 1981 murder of officer Daniel Faulkner …who like I said above had pulled over Abu-Jamal’s younger brother for a routine traffic stop…Abu-Jamal’s death sentence was commuted to life imprisonment in 2012 when Adegbile…true to liberal bleeding heart form would NOT accept the Pennsylvania Supreme Court’s appeal rejection, and continued fighting…and still does so…for this unrepentant piece of human garbage until his sentence of death was overturned. 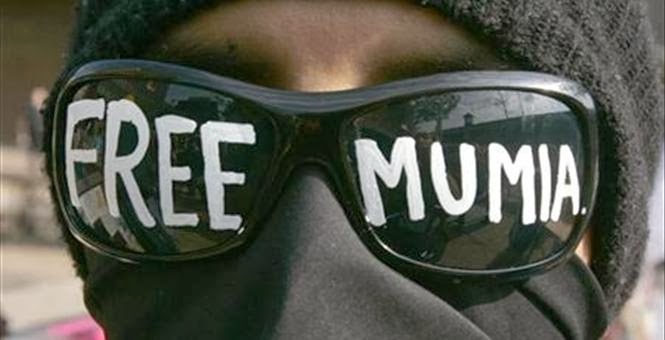 And by gaining his commutation, both he and Abu-Jamal are now seen as leftist celebrities of sorts, because while Abu-Jamal is seen as the poster boy for America’s supposed oppression of people in Philadelphia who look like him (meaning black), Adegible is heralded as the hero who beat both ‘the man’ and whitey. But did you really expect anything different as the final outcome when our liberal courts get involved with an ubber liberal lawyer…so let’s all thank Obama’s nominee Debo Adegbile for allowing we taxpayers to pay even more to keep alive this stain on humanity even longer than the 32 years we already have while NO justice is served for Daniel Faulkner’s family. And this is who Obama wants to head the Civil Rights Division of the DOJ…can you imagine the race-baiting that will go on if this man is actually appointed…a scary thought indeed. And what does Maureen Faulkner, the widow say about the man Barack HUSSEIN Obama is nominating to such an important position…she is outraged and rightly so as this nomination “is like spitting on all of our officers and our federal agents throughout America…and to nominate him to the Department of Justice, it’s a disgrace,” Faulkner said. In addition, the Fraternal Order of Police (FOP) is vehemently opposed to Adegbile’s nomination and has promised to do everything in their power to stop this appointment from getting approved. 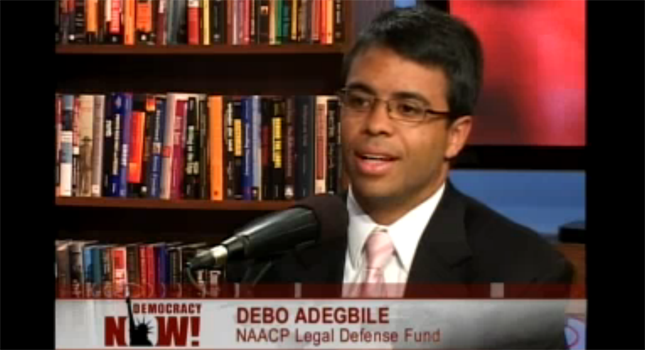 “This nomination can be interpreted in only one way: it is a thumb in the eye of our nation’s law enforcement officers…Adegbile will certainly exacerbate the growing division and distrust between law enforcement and minority communities,” they wrote in an angry letter to Obama for Adegbile has a history of race-baiting…just the type of person Obama wants to add to his race-baiting trio of friends…Jackson, Sharpton, and Farrakam…while sending a message to the Republicans, the Conservatives, the TEA Partiers, and ‘We the People that he intends to continue on with his radical racial policies and with his radical appointments to positions of power. So now those in the Senate have their work cut out for them…that is if they can muster even an ounce of guts and courage to say NO to this most reprehensible of nominations of a man who by his actions is a cop killer advocate, for truth be told all Barack HUSSEIN Obama is trying to do with this nomination is to continue stacking the deck for the 2014 mid-term elections…and of course to add fuel to the racial fires of his ‘hate whitey let’s start a race war’ underlying goal.